Surya Sivakumar as seen in 7 AUM ARIVU (The Seventh Sense), a film by A.R. Murugadoss. Picture courtesy Red Giant Movies. All rights reserved. 7 aum Arivu (English: The Seventh Sense) is an upcoming Tamil science fiction thriller film written and directed by A. R. Murugadoss. 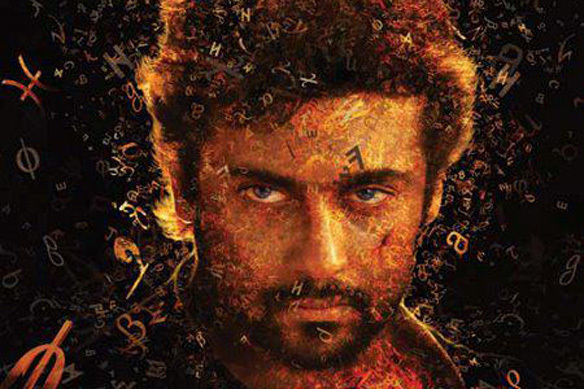 Starring Suriya, in double roles, and Shruti Haasan, the film began production in May 2010. The story is said to revolve around a "super machine", which is brought to India. The film, produced by Udhayanidhi Stalin on a budget of INR84 crore (US$18.73 million), will release on 26 October 2011. It will also be dubbed and released in Telugu and Hindi.